How to Use Missinglettr - How do I become an affiliate? All Categories ​>​ Affiliate ​>​ How do I become an affiliate? I don't have a Missinglettr account. Becoming an affiliate for Missinglettr is very simple. We'll ask a few questions and your PayPal email address, and that's it. 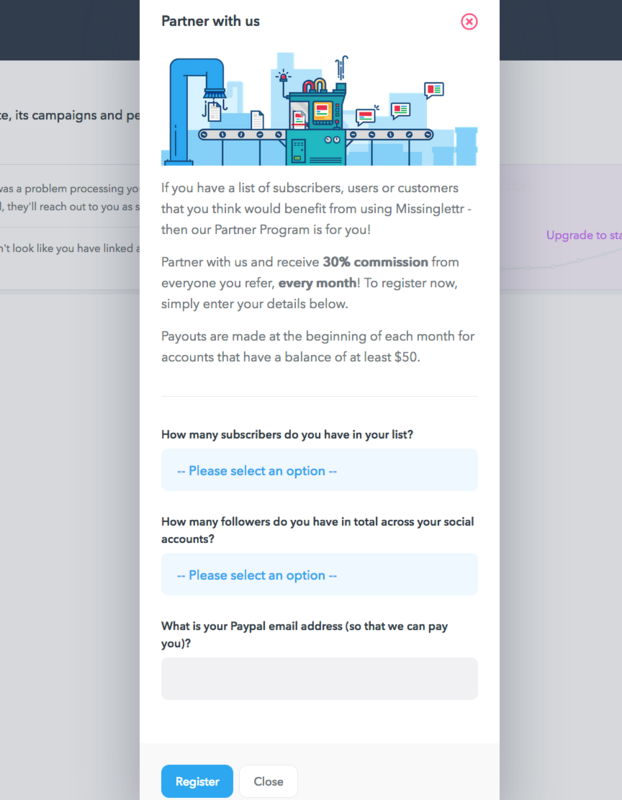 There will be a welcome email in your inbox, and a Partner Dashboard will be available right away. The dashboard also enables you to track your progress and the overall income. You'll be earning a recurring 30% monthly commission from anyone you refer to Missinglettr. It is also possible to sign up for an affiliate account without creating a full Missinglettr account. All you need to do is go here: https://missinglettr.com/affiliate/signup/ and fill in the registration form. 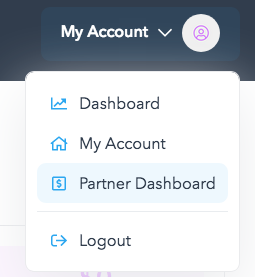 Once done, you will have access to the affiliate dashboard. Next: What are the best ways to promote the affiliate link?